The identity management market is going through a renaissance. 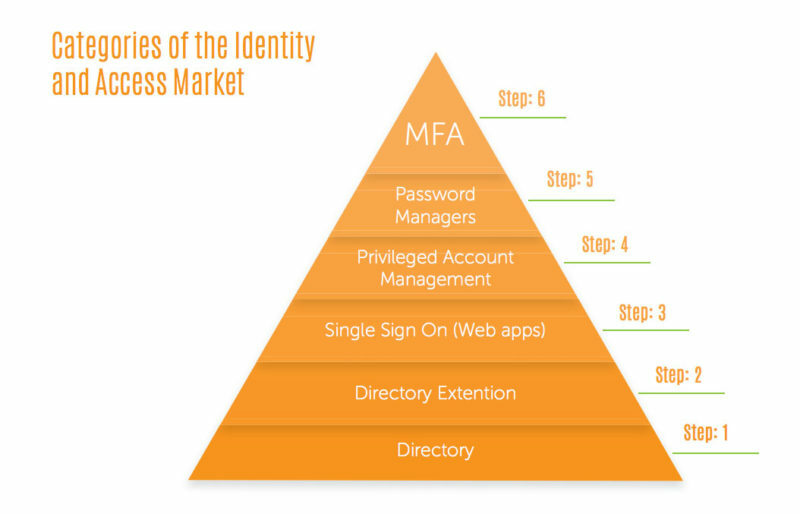 After years of focus on the surface-level layers, the identity and access management market is coming back around to its foundation: the directory. But it’s not the usual players you might expect. The legacy on-prem directory services – Microsoft Active Directory and OpenLDAP – aren’t the modern choices. With a much more complicated IT landscape, forward-looking IT organizations are searching for a unified directory. The base of the market has always been the core identity provider. These have largely been AD and LDAP. For organizations that aren’t just Microsoft Windows or LDAP-based, a category of directory extenders appeared. These solutions built on top of the core identity service, but would also help with non-Microsoft IT resources, including Macs and Linux devices. Continuing with the same theme Single Sign-On solutions (SSO) extended the core directory service to Web applications. Then another category that was focused on critical infrastructure came to be, and that required more sophisticated controls. That market was called privileged identity management. With the web adding many more user accounts, organizations and individuals needed a way to securely keep track of them all. Password managers became the way that users did this. Finally, multi-factor authentication and audit / compliance solutions added security to the overall identity management landscape. That market landscape has existed for over a decade. For most IT organizations, it is a nightmare to manage. There are too many different solutions, and some don’t work across all of their locations or platforms. With the advent of the cloud and SaaS-based applications, all bets are off now. Google Apps and Microsoft Office 365 have contributed to throwing this market into chaos as well. The core email solution (most often Microsoft Exchange) used to be tightly integrated with Active Directory, and now it isn’t. Furthermore, it isn’t even located on-prem. Or, even Exchange. Mobile devices and remote workforces are also adding to the confusion. Innovative providers in the space realized that all of these problems didn’t need additional splintered solutions. The remedy would have to be a unification of the overall market. As counterintuitive as that has been, the approach of a unified directory is taking hold in the market. Instead of many different solutions and instances of those solutions across the IT infrastructure, IT admins are deploying a cloud-based directory service that integrates the many layers of the market. While one vendor cannot solve all of an organization’s identity management needs, the concept of a unified cloud directory has been groundbreaking. That seismic shift started by rethinking the core of the market – the directory service. Directory-as-a-Service® is the unified directory. 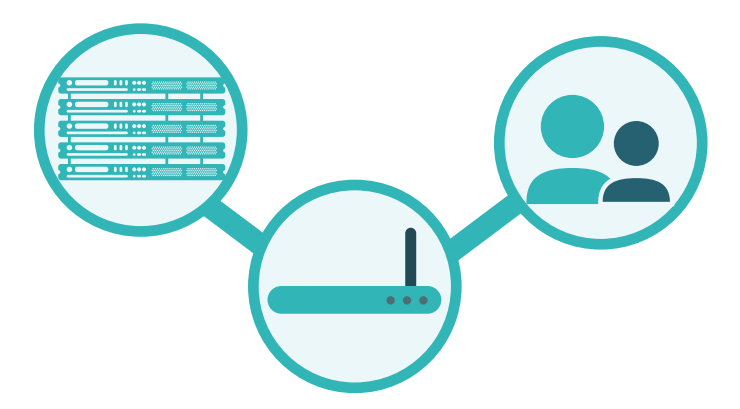 It starts with reimagining the directory service to be independent, cloud-based, and multi-protocol. 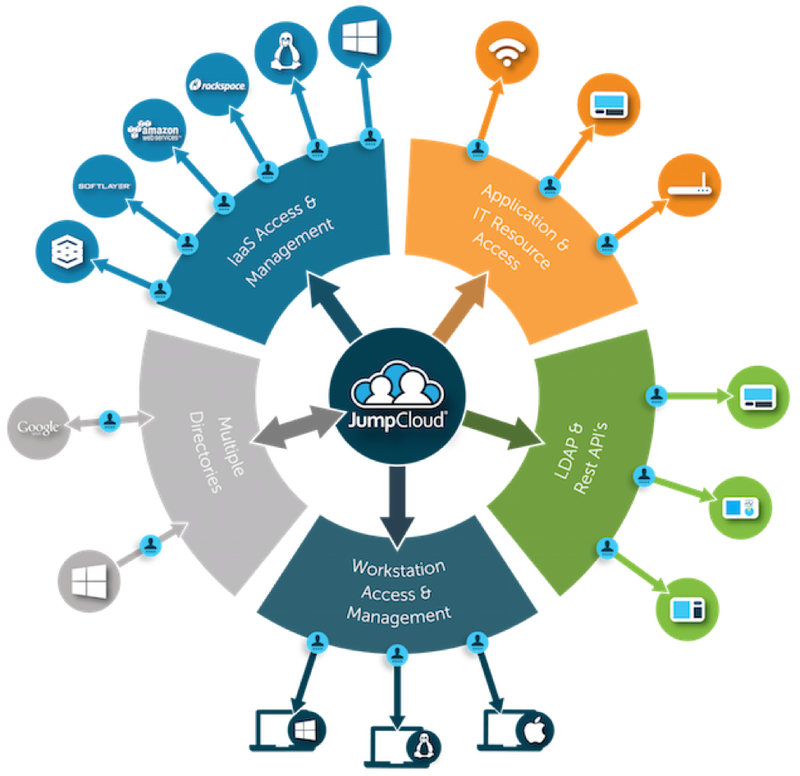 Instead of tying it to a particular platform or protocol, Directory-as-a-Service works with Mac, Windows, and Linux systems; Office 365 and Google Apps as well as other cloud platforms; AWS, IBM Softlayer, and other infrastructure providers; Box, Slack, and many more SaaS applications; and with a variety of protocols, including RADIUS, SAML, SSH, LDAP, and REST. Since it is protected with integrated multi-factor authentication and audit and logging functionality among other features, the platform is highly secure. In a sense, this unified directory approach is collapsing the identity management categories into a single, SaaS-delivered cloud directory. 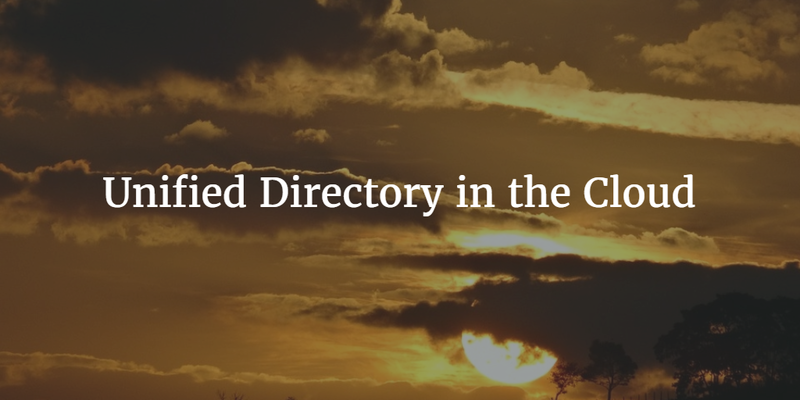 If you would like to learn more about Directory-as-a Service as your unified directory, drop us a note. Since your first 10 users are free forever, give JumpCloud’s directory service platform a try for yourself.